In day 7’s post we learned about how CloudFormation (CFN) can help you to automate the creation and management of your AWS resources. It supports a wide variety of AWS services, includes the ability to pass in user supplied paramaters, has a nice set of CLI tools, and a few handy functions you are able to use in the JSON files. In today’s post we’ll explore some strategies for getting the most out of your CFN stacks by creating re-usable templates. A lot of the CFN sample templates are monothithic, meaning that the template defines all the resources needed for an application’s infrastructure in a single template and so they all get created as part of a single stack. Examples of this are the Multi-tier VPC example or the Redmine Multi-AZ with Multi-AZ RDS example. In keeping with the ideas of agile operations or infrastructure as code, I think that the way we should use CFN templates is as re-usable bits of infrastructure code to manage our AWS resources. ELB (+ Auto-scaling) template – this defines one or more ELB instances needed, passing in your EC2 instances ids, listener ports, subnets, etc as parameters. Optionally, if you’re going to use auto-scaling, I’d include that in this template, along with the parameters needed it for it, since AS makes most sense when used with ELB for web facing applications. If you’re using Route53 for DNS, I recommend putting the needed Route53 resources in each layer’s template. These covers the most common resources you’re likely to use in a typical web applications, if you’re using other services like DynamoDB or Simple Notification Services then you should make additional templates as needed. The overall approach is that your templates should have sufficient parameters and outputs to be re-usable across environments like dev, stage, qa, or prod and that each layer’s template builds on the next. As with any new technique, it is useful to have some examples. This template does not require any inputs, it will make a VPC with a network of 10.20.0.0/16, a public subnet of 10.20.10.0/24 , a private subnet of 10.20.20.0/24, with default inbound 22 and 80 rules, and typical outbound rules. It returns the newly created VPC’s id. This template will create an EC2 instance, it requires you give it an ssh keypair name, a VPC id, a Subnet id within your VPC, an AMI id, and a Security Group. It returns the EC2 instance id, the subnet, and the security group id. "Description" : "VpcId of your existing Virtual Private Cloud (VPC)"
"Description" : "SubnetId of an existing subnet in your Virtual Private Cloud (VPC)"
"Description" : "AMI You want to use"
"Description" : "SecurityGroup to use"
"cfn-signal -e $? -r 'Chef Server configuration'n"
"Description" : "Instance Id of newly created instance"
"Description" : "Subnet of instance"
"Description" : "Security Group of instance"
Hopefully this has provided you with some strategies and examples for how to create re-usable CFN templates and build your infrastructure from a series of layered stacks. 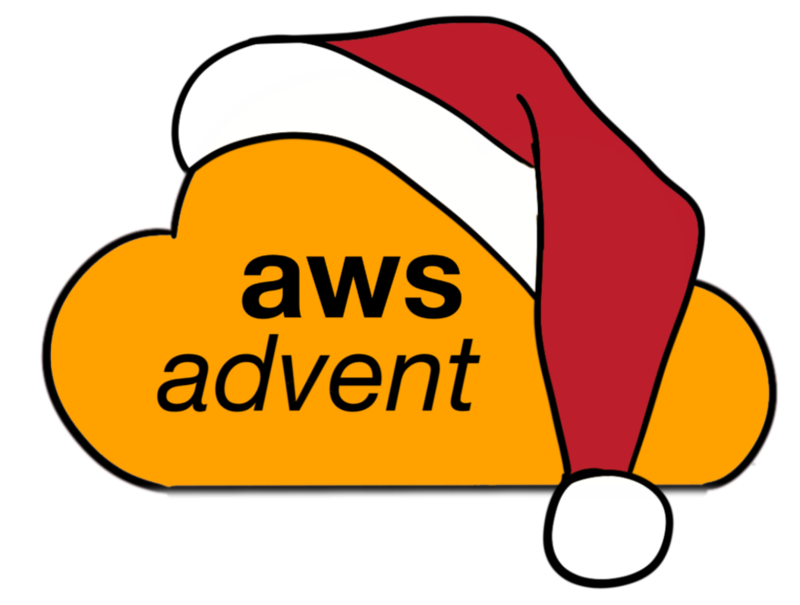 As you build your templates, you’ll want to build some automation with a language library to drive the creation of each stack and manage passing your inputs from one stack to the next or see the earlier AWS Advent post on Automating AWS. To explore this further I recommend you play with and tear apart the CloudFormation example templates Amazon has made available.